The soil loosens in my hands. It has shaped us into one word, on repeat. 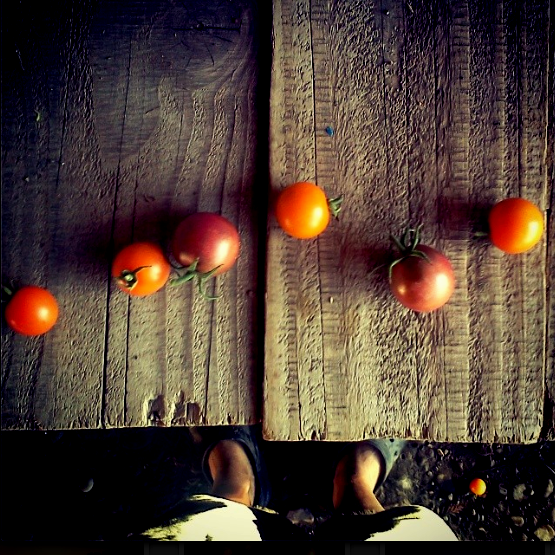 I load the tomatoes into the crates. pound, upon pound, upon pound. it is no small deal. I can not wash the dirt from under my nail no matter how hard I try. Tender, tended. Provider, provided. I am not sure where I begin, where the Earth ends? My skin is stained yellow.